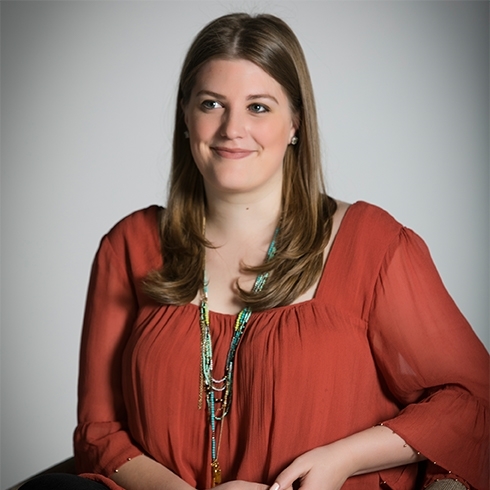 Katie aims to deliver branding campaigns that the firm’s clients never knew were possible. She deftly weaves new concepts into everything from magazine ads to websites and large-scale events, or full-scale corporate identity packages. At Slant, she is responsible for clients ranging from long-standing partners to newer companies looking for a fresh perspective. Unwaveringly levelheaded, she is often a reassuring ally when times are stressful. The Texas native graduated from Oklahoma State’s School of Media and Strategic Communications with a degree in strategic communication focused in advertising and a minor in marketing from the Spears School of Business. Her previous experience includes in-house marketing work for international restaurant chain Romano’s Macaroni Grill and at nonprofit Stillwater Area United Way, account services training at VI Marketing and Branding, and media buying practice at Ackerman McQueen, the largest ad agency in Oklahoma. Katie is the firm’s go-to for pop culture references – try tossing a movie quote her way – or for a spicy food challenge (jalapeños are her staple condiment). Additional testaments to her Texas roots: She’ll never turn down a cold Dr Pepper, barbecue from Lockhart Smokehouse or a trip to the Texas State Fair. What she won’t claim: a love of country music.